Celebrate St Andrews Day with us! We are delighted to be part of the Scottish Government’s St Andrew’s Day celebrations this year. ‘Visit For Free’ is a 3 day extravaganza of visitor attractions inviting residents to explore whats on their doorstep this winter! 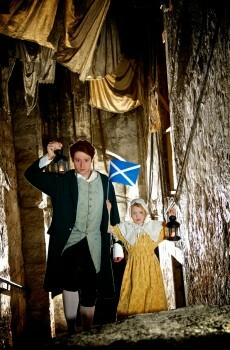 A first for The Real Mary King’s Close, we’re offering free child places from November 30th to December 2nd inclusive. Limited places are available and its strictly subject to availability – we hope that we can welcome new visitors to the attraction to experience this unique piece of Edinburgh’s, and Scotland’s, history. Please note that we are offering one free child place per one full paying adult. Pre-booking is strongly recommended via telephone only as places are limted – 0845 070 6244. Please note we cannot admit children under 5 years old.